One Serving of hemp seeds contain 11 grams of protein (This is a complete protein as it contains all the 9 essential amino acids). Hemp seeds are also rich in omega 3 fatty acids and are a great source of iron, phosphorus, zinc, and magnesium. Every slice of bread has approximately 5 grams of protein (this is also a complete protein). Have a sandwich and you will be acquiring 10 grams of protein from the bread alone! It is also a great source of fiber, magnesium, phosphorus, and B vitamins. Consume 1 cup of your favorite beans, be it red beans, garbanzo beans, pinto beans, lima beans, black beans, ect, one cup of cooked beans contains about 12- 15 grams of protein. They are also very high in fiber and a great source of iron. Although beans are not a complete protein, when paired with rice, they are complete proteins. Although you do not have to consume rice and beans together to reap the benefits of complete proteins, it is important that you consume both within a 24 hour period. 1 cup of quinoa contains approximately 12 grams of protein. Not only is quinoa a complete protein, but it is also extremely high in fiber and a great source of iron and manganese. Peanut butter is an excellent source of protein, as 2 tablespoons reaps about 7 grams of protein. Although not a complete protein, when paired with bread, you will be consuming complete proteins. 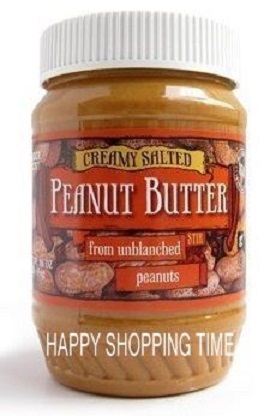 Peanut butter is also a good source of vitamins B3 and E, magnesium, folate, and dietary fiber. Other nut butters such as cashew and almond are also good sources of protein. One serving of tofu has approximately 10 grams of protein, not to mention it is very cheap! Not only is tofu a complete protein, but it is a naturally good source of calcium and iron as well. Lentils are a great source of protein as they contain about 18 grams of protein per cup of cooked lentils. Un-sprouted lentils are, however, lacking in 2 essential amino acids and are thus in-complete. Simply add some brown rice and you have a complete protein. Lentils are also good sources of fiber, iron, phosphorus, copper, folate, and manganese. One cup has approximately 30 grams of protein! Tempeh is an awesome source of protein for vegans. It is also rich in riboflavin, magnesium, phosphorus, copper, and manganese. Most vegetables have about 2-4 grams of protein per serving. It may not sound like much, but when you consume lots of vegetables, it adds up. One cup of cooked spinach contains 4 grams of protein, One avocado contains 3 grams of protein, one cup of cooked kale contains 2 grams of protein.. you catch my drift. Nuts are a great source of healthy fats and an array of vitamins and minerals. Listed below are the protein contents of some of the more popular nuts and seeds. One cup of cooked button mushrooms, portobello mushrooms, oyster mushrooms, maitake mushrooms, or shiitake mushrooms contain 4 grams of protein. Although 4 grams is not that much, when you factor in that one cup of mushrooms only contains 40 calories, it makes it a great source of protein. Mushrooms are also a good source of vitamin C, B vitamins, beta-glucans, and vitamin D.